There are lots of debt relief options out there, and you want to know you are choosing the right solution for you. 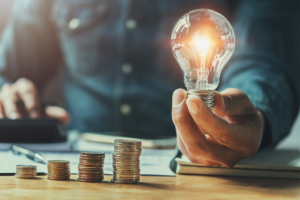 While every financial situation is different, a debt management program can provide distinct advantages and help drastically improve your finances now and improve your financial outlook for the future. 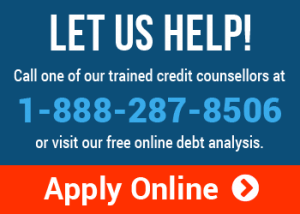 If you are wondering if debt management is the right choice for you, give us a call at 1-888-294-3130 to speak with a trained credit counsellor. If you prefer, complete an online request for a Free Debt Analysis and a credit counsellor will contact you. The main benefit of a debt management program is that it reduces monthly debt payments – sometimes by as much as 30-50%. If you qualify for a debt management program, all of your unsecured debts on the program will be consolidated at a lower interest rate, usually between 0-10%. This reduction in interest allows more of what you pay to go towards principle rather than interest and fees, shortening the time you are in debt. Reducing your monthly payments will make your debts become more manageable and easier on your budget. One other advantage about consolidating your debts is that with a debt management program you only have to make one payment each month on all the debts included in your program. Without juggling multiple bills and due dates, It’s less of a hassle for you to keep up with your bill payment schedule. You also won’t be harassed by collectors once you enroll in a debt management program – you can direct them to your credit counsellor, so you can go back to answering your phone. Another benefit of the debt management program is your credit counsellor can negotiate with your creditors on your behalf. 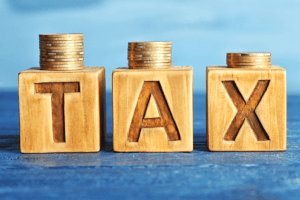 They may be able to remove penalties and reduce interest rates or finances charges applied to your accounts as a result of missed payments caused by your debt burden. Additionally, if you are late on any of your payments, a debt management program will show that you are making regular payments towards reducing your debt. Just because you are paying less each month, doesn’t mean it will take longer to pay off your debt. Enrolling in a debt management program and lowering your interest rates reduces the amount of interest paid and increases the amount that goes towards your principle. This program actually shortens the time you are in debt! Saving that money on debt payments can help you balance your budget and regain your financial control faster. Everyone’s situation is different, however most consumers that enroll in a debt management program can pay off their unsecured debts in 3 to 5 years rather than the decades it says on your credit card statements. The best thing about enrolling in a debt management program is getting peace of mind that you’ve avoided facing larger financial problems. 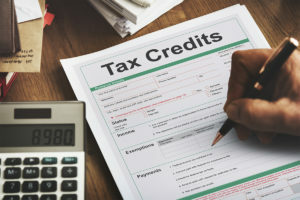 The credit penalties for bankruptcy remain on your credit report for six years or more from discharge, causing a significant drop in your credit scores. When using a debt management program, you pay off your unsecured debts in full and get your finances back on track, all the while building other elements of your credit rating by making regular payments. Everyone’s credit report is different and depending on whether you had excellent credit going into the program will determine the impact. Additionally, your personal credit counsellor is trained to help provide the financial education and tools you need to build a successful future. Your personal credit counsellor will provide you with financial education and the tools to beat your debt problem now and to make sure it doesn’t come back in the future. While every financial situation is different, a debt management program can help rebuild your credit profile. While your credit scores may drop initially, making regular payments and reducing your debt will help to improve your credit rating over time. Remember, it took some time to get into debt, and it’s going to take some time to get out. Taking back control of your finances and establishing a positive credit history will help you create a secure financial future. 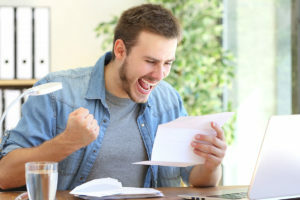 The best part about enrolling in a debt management program is feeling at piece with yourself knowing that you’ve avoided larger financial problems that could have caused more stress. You finally will have control over your own debt. Debt settlement and bankruptcy can have lasting negative impacts on your financial future. After completing a debt management program, you will be able to pay your debts back in full and get your finances back in order. Additionally, your personal credit counsellor isn’t just there to be an administrator; they are trained credit experts and will guide you with financial education and tools you need to be successful. Consolidated Credit offers a wide range of financial learning resources to help you get back on track with your finances and stay debt free after completing your debt management program. Our goal is to make sure that once you beat your debt problem, it doesn’t simply return in a few years. You will learn the necessary skills to manage your finances successfully now and in the future.